We envision a society where all women, regardless of race, sexual orientation, ethnicity, or socioeconomic status, transcend the structural and social inequalities that currently exist to achieve success. Advocating on behalf of issues that affect women through supporting local, state, and federal policy measures that address gender-based discrimination. 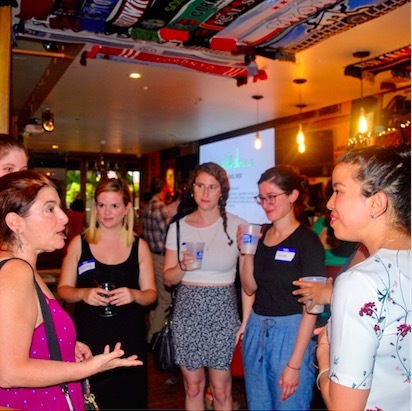 Bringing together civic leaders and like-minded women who share a similar vision: to bring about effective social change and reform to our communities. Creating social opportunities for professional mentorship, networking, friendship and all around support for women in New York City.